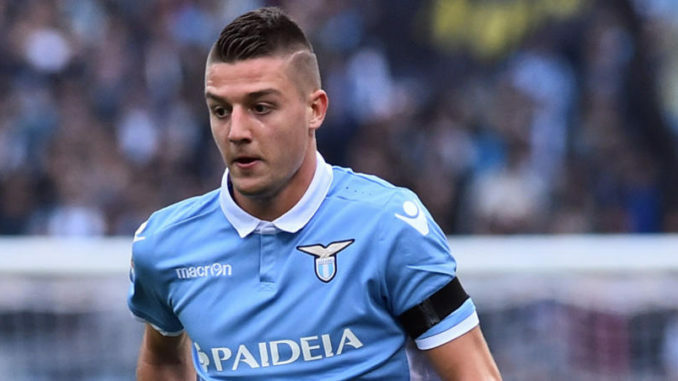 Lazio midfielder Sergej Milinkovic-Savic has admitted the he is flattered to be associated with a potential move to Manchester United, though he is content in Rome for the moment. The 22-year-old midfielder has had another top-notch season with the Capital outfit, and this has spread speculation of him pursuing a big-money move during the summer. In an interview with Gazzetta dello Sport, the Serbian was flattered by the ongoing interest from the Red Devils, but he is presently focused on his job at hand with Lazio, which remains to finish in the top-four. Milinkovic-Savic has continued to build on his reputation as a box-to-box midfielder this term, and he has contributed 11 goals and assisted a further six during the ongoing campaign. His current contract only expires in the summer of 2022, but United could still do business with Lazio in the summer, should they pay up a British record fee of around £100m to prise away his services. Mourinho has already highlighted the need to reinforce the midfield in the summer with Michael Carrick having already announced his retirement while Marouane Fellaini appears set to leave on a Bosman. The £80-million-rated midfielder, who is known for his excellent passing vision and concerntration, is also said to be of interest to arch-rivals Manchester City and current European champions Real Madrid.